In 2005, Kresse Wesling and James Henrit launched Elvis & Kresse*. A certified B Corporation, their sustainable luxury line of bags and accessories is made from genuine de-commissioned British fire brigade hoses that would otherwise be destined for landfill. 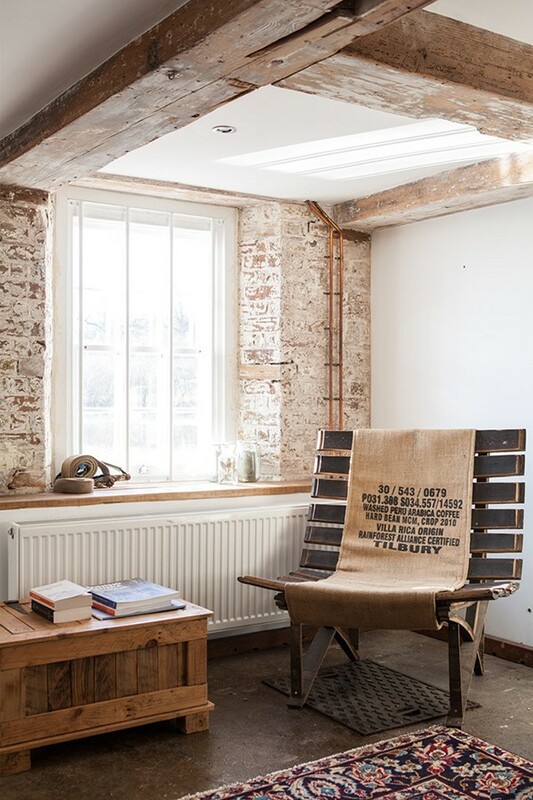 They have now extended their range to homeware, using additional reclaimed materials, such as off-cuts from the production of Burberry leather goods, printing blankets, auction banners, tea sacks and parachute silk. 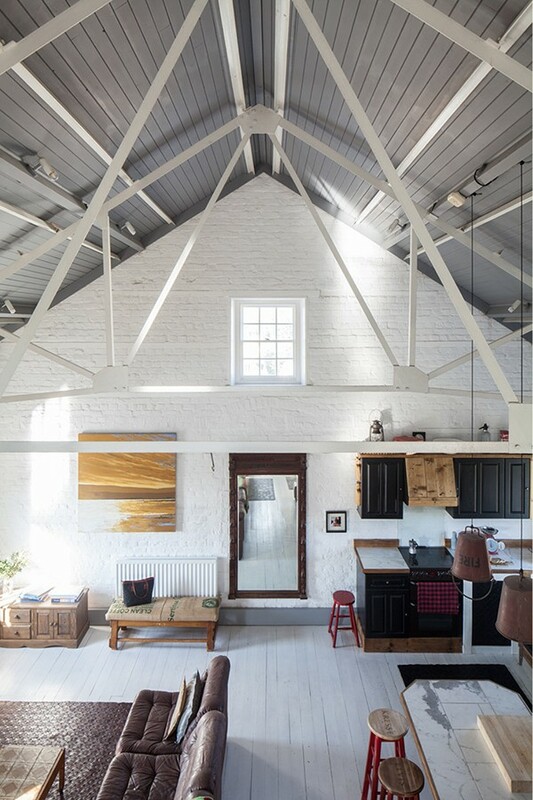 Since 2013, their HQ has been based at Tonge Mill in Kent, a nineteenth-century mill that houses their workshop and home, and which they renovated head to toe with salvaged materials and upcycled decor. 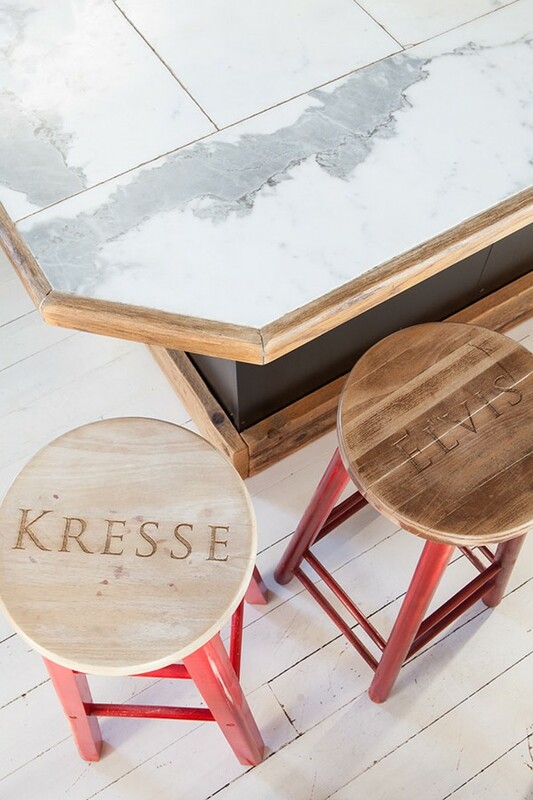 Read our interview with Kresse Wesling and discover how they put their personal stamp on the property. What do you know about the history of the mill? 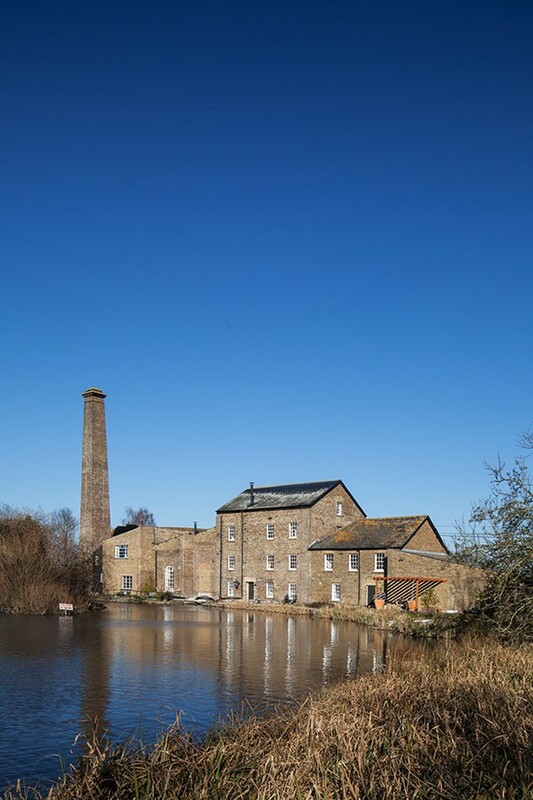 The mill was was built in 1837 and is Grade II listed. Several years before we bought it, the previous owner who built both this mill and its predecessor, The Old Mill, commissioned a history of the area and the buildings that their family had built and had run as a successful business for generations. It is a fantastic resource, containing amazing images of the pond, changes to the building over time and how it changed after a fire in the 1950s. What drew you to the property initially and what state was it in before you moved in? For several years we searched for this kind of building, where we could have a beautiful home for Elvis & Kresse and also a place to live. After several successive workshops based on industrial estates we wanted a better view, less concrete and to eliminate our commute! We found the Mill on a Saturday whilst searching online, drove to see it on Sunday and made an offer on Monday. We had never seen the inside. Over the ensuing weeks Elvis went back twice to see it, but it was a three hour drive from us, so I never went. It was in a terrible state internally, with limited heat and electricity, and we knew that it would be a challenge, but it had everything that two optimists who rescue and reclaim for a living could dream of. What was your vision for the renovation and did you stick to it? The challenge was to respect and retain everything that we could. As the building is Grade II listed, we couldn’t move the windows, stairs, or alter the exterior. 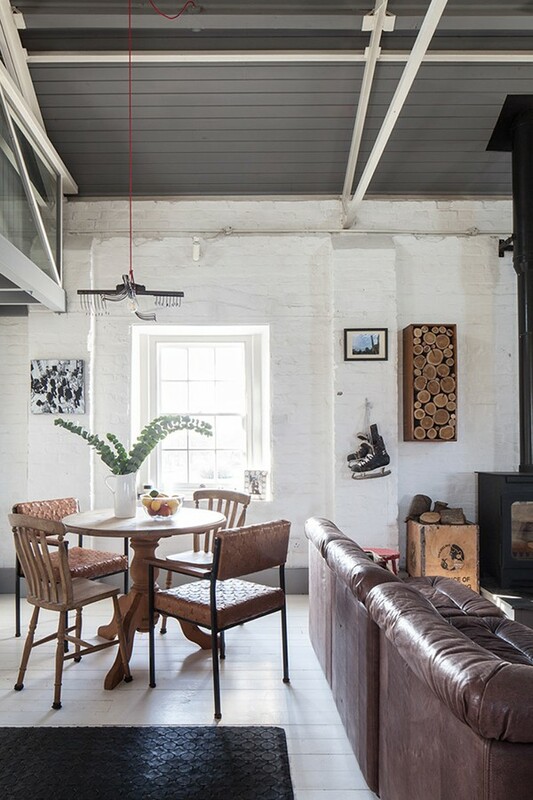 The vision, in light of this challenge, was to create a luxurious but utilitarian interior that maximised the light and space while using as many reclaimed, salvaged and handmade pieces as possible. 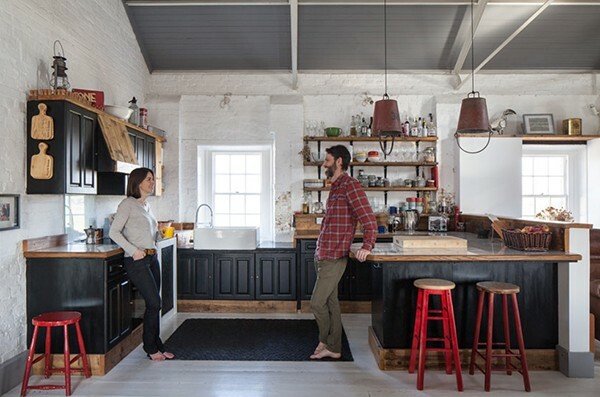 We definitely stuck to this plan, particularly as it made the most of our limited budget, design and manufacturing skills, and resulted in a home that really only the two of us could ever have imagined and constructed. It also means that it really does reflect our style, which is why we love living here so much. What are some of the most interesting vintage items that you introduced into the scheme? There are definitely some stand out pieces. 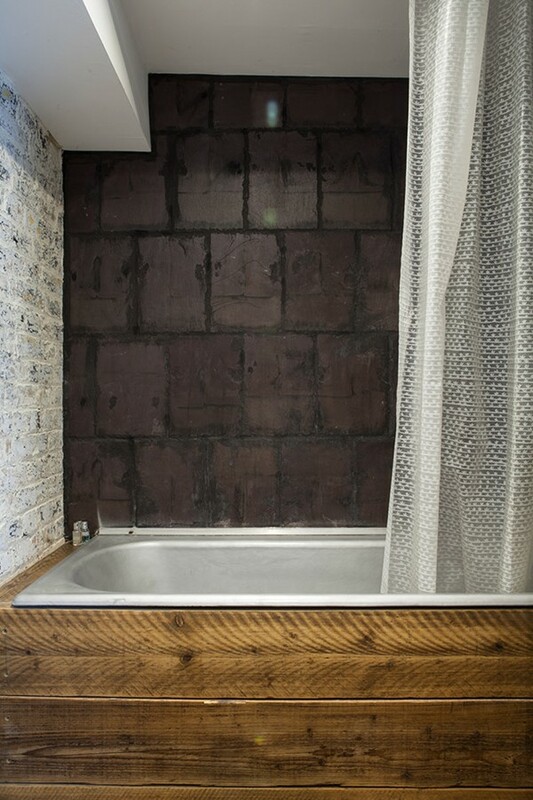 We found an ancient steel bathtub on Freecycle that was very rusty, we sanded it back and painted it silver, and now have a very unique, shiny centrepiece in our guest bathroom. 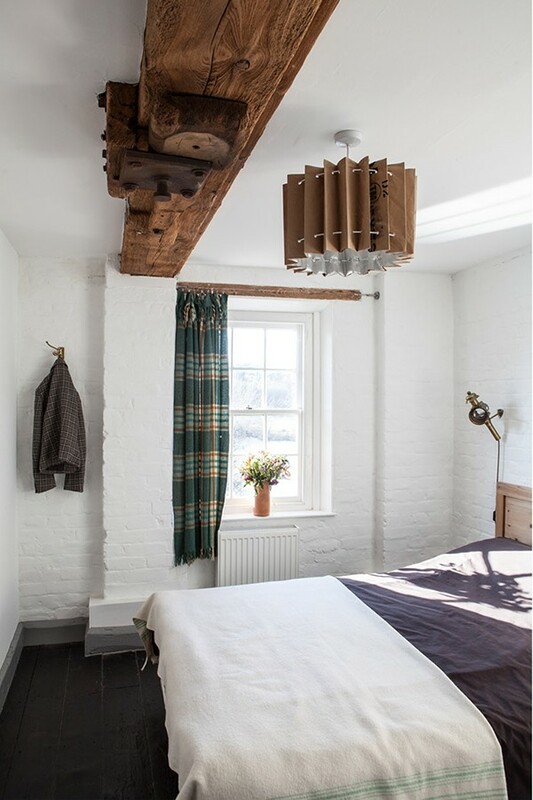 We have also made several chandeliers out of former industrial equipment – rusted out tractor parts that we found in a field, former fire brigade buckets, tea sacks… We often find that modern light fixtures look very manufactured, streamlined and dull. We wanted to create pieces that were clearly crafted, unique and laden with history. What pieces were handmade or upcycled especially for the interior? 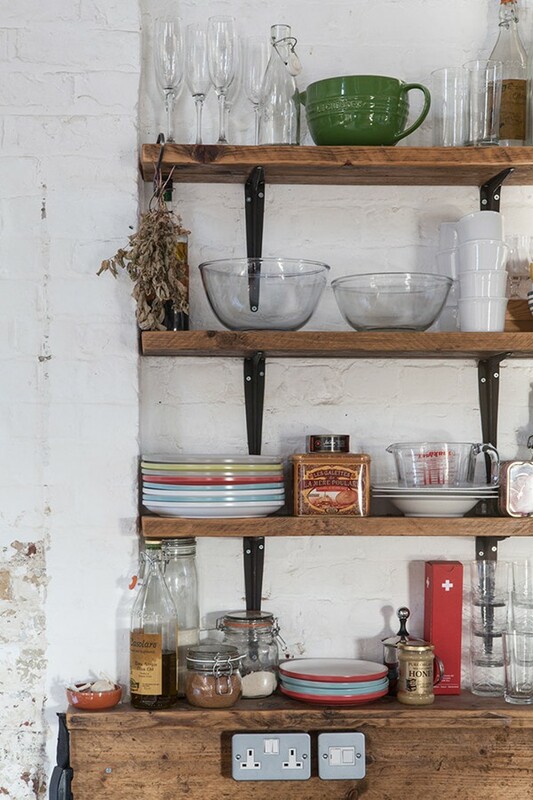 So many pieces, entire rooms even, were both handmade and upcycled – the kitchen was entirely re-imagined by transforming existing units with black paint, an assortment of redundant industrial rivets made into knobs, marble and granite off-cuts for the counter tops and deli style shelving made with failed scaffolding boards. 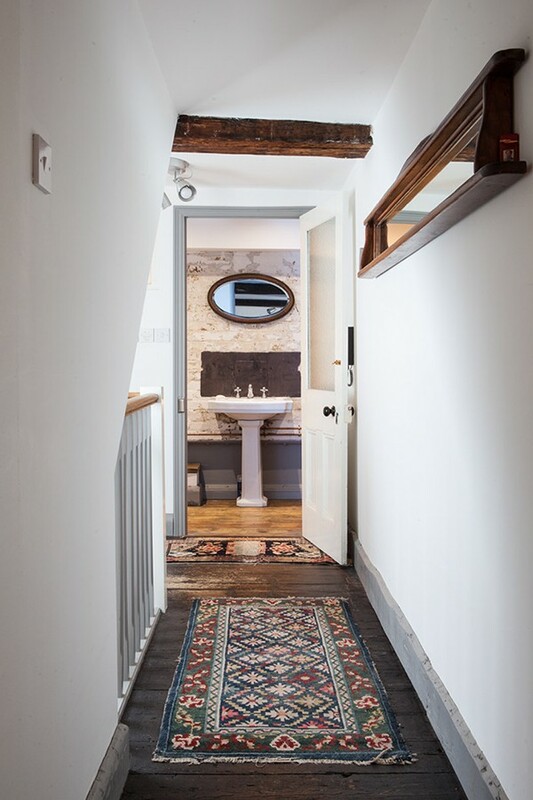 Everything from the beds to the skirting boards, flooring, cupboards and most of the furniture we made, rescued, repaired, refurbished or re-imagined. A lot of love went into bringing the Mill back to life! Was there anything you bought new? Yes, all of the materials associated with the heating and electrical system. Due to building regulations these have to meet certain standards, which would be impossible with reclaimed materials of unknown origin. 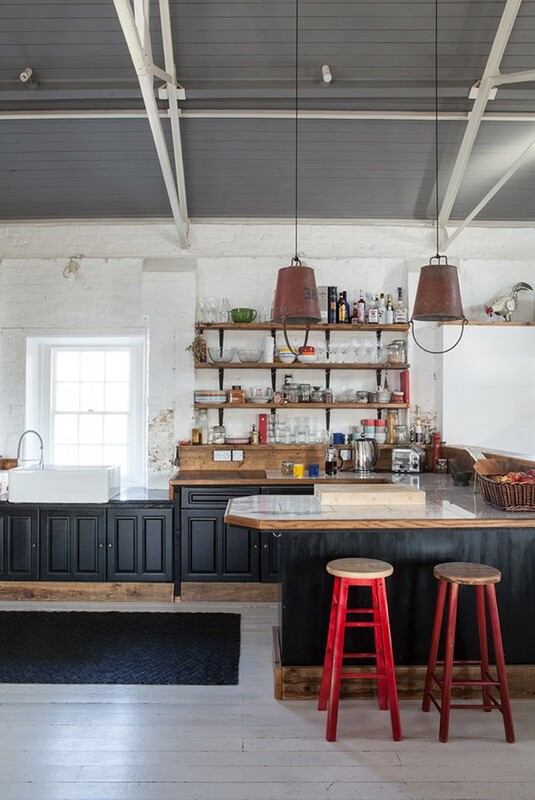 Which is your favourite part of the house and why? We have a small rescued table with two chairs that look out across the pond. It is the perfect place to watch the sunset. What projects/collaborations are you currently working on? We just finished making a leather wall for a set of a new film that will be released in the fall of 2019 and have almost finished a 2 x 12 metre rescued leather tapestry for a hotel in Nashville, USA. We love working with both home owners and more challenging, bespoke large format pieces for architects, interior designers and set designers. Which pieces can be bought from Elvis & Kresse? 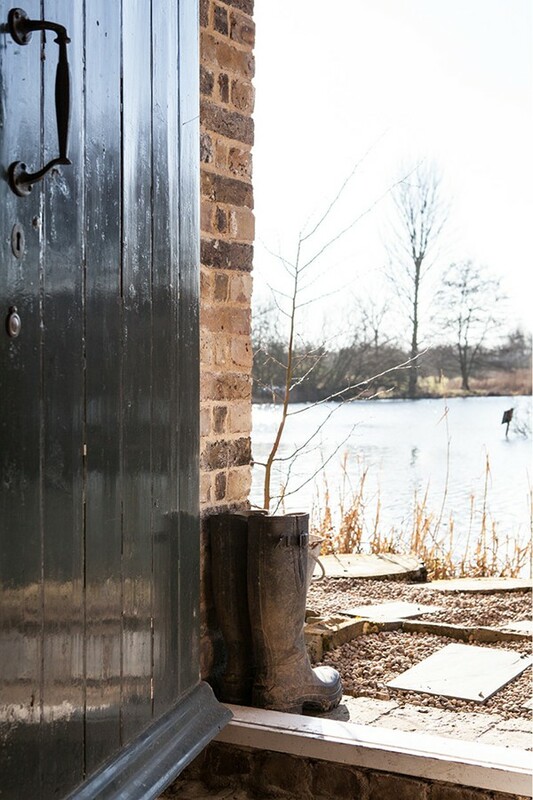 We have one of our rescued leather doorstops for every door and our leather rugs in many rooms too, plus candle holders made from rare decommissioned fire-hose couplings – these can all be ordered on the Elvis & Kresse website in the Homeware* section. We also have any number of bespoke pieces and are constantly working on commissions for customers from all over the world.